*Disclaimer - I am not affiliated with any of the links in this post. These are just resources I use and would recommend. Recently I was looking for inspiration for my writing. I asked on my Facebook page if there was anything you would like to know? Paula at Happysnappy, a storyteller with a camera (who will be doing a guest post here next week) asked me this question about homeschooling. "How the homeschooling works. Do you have a syllabus per academic year/ age? Are the kids tested by someone else at some point? Can a homeschool kid get into Uni? We don´t have that option here. Primary school is compulsory." I was sort of snapped back into reality with this question. It is a good reminder that not everyone has the option to homeschool, or for that matter even knows what it is! Paula is from Argentina, and often reminds me that things are very different below the equator, including the seasons! It has been fun getting to know her, and I was eager to answer these questions for her. The basic premise of homeschooling is just as it sounds. It is schooling that is done at home. Sometimes it is also called home based learning. This is not a new concept, for centuries schooling has been done in the home. Instruction is generally done by a parent, or a tutor. In some situations it is done by a team of parents all teaching different subjects (Co-op). Occasionally homeschooling is also used as a supplement to traditional schooling for additional enrichment. This answer will be different for each family. Everyone has their own reason for homeschooling, however there are some common benefits. 1) Individualized learning - Each child has the freedom to learn at their own rate and in their own way. If they don't understand or grasp something you have the freedom to go back and reteach it. If a child is excelling in a certain area, you have the freedom to move rapidly on that subject until you get to something more challenging for them. If a child learns better by standing and moving while studying, he/she has the freedom to do so. You are not bound to the traditional brick and mortar rules for school. You can change your teaching methods however you need to best suit your child. 2) More one on one instruction time - In a traditional school children share their teacher with about 12-30 other students. This makes it hard for the teacher to spend individual instruction time with each student. In a homeschool situation, the ratio of students to teacher is much lower allowing the child to have more time for personal instruction, thus improving the overall learning process. 3) Freedom to explore subjects in which your child's interest lie - If your child is really into science, you have the freedom to spend more time nurturing this interest. Doing so allows your child to dive deeper into that particular subject instead of being rushed on to something new with the rest of the class. 4) Control over what your child learns - Although some areas are getting more strict about what subjects are being taught in homeschools, one thing remains the same. The teacher has the ability to teach the material how they see fit. I can teach my children values and morals and still allow them to see both sides of the story. 5) Create a flex schedule - Homeschooling allows you to create your schedule to fit your needs. Schooling doesn't have to be done 8am-3pm Monday -Friday! It also gives you the freedom to take your vacations during the school year when places may be less crowded. 6) Get discounts on all kinds of things - Homeschoolers can get discounts on everything from museum visits, to swim lessons. All you have to do is ask if they offer a homeschoolers program. Even Disney offers a homeschool event once a year! Click here to check it out. My family has saved so much money by calling in advance and asking about these programs. The Con's- homeschooling is not always a cakewalk. 2) You have to tolerate others injecting their opinions about it. I am not one of those people that believe that everyone should homeschool. It is not for everyone. For most families however, the pro's outweigh the con's! There are several methods for homeschooling. There is a lot of controversy as to which is the best method. I think the answer to that is really based on each family and their needs. There are around 12 common types of homeschooling. I use the eclectic method myself. To read more about each of these methods visit Homeschool Curriculum Advisor. Depending on the laws in your area, some of these may not be available. Some states will require standardized testing to be done, others do not. For some of these programs outside testing is a normal part of the program. For those that do not include it, parents still have the option to pay to have them done if so desired. Depending on which type of homeschooling you opt to do, your child may need to take a GED in order to get into a University. Programs such as Umbrella Organizations and Online Homeschools and even some of the computer based programs offer a diploma. You may also be surprised to learn that some of the online schools are Virtual Charters which are public schools. Some Virtual Charters also have private accredited schools. Even though you are schooling at home, places that would frown on homeschooling will sometimes allow this type of school. It may be a good alternative for those wanting to homeschool in areas with tough laws on the matter. I talked a little about our experience with a virtual charter here. How do you homeschool multiple grades? This is probably the question I get asked most frequently. There are again many different theories on how to handle this. I will share what has worked best for me. 1) Block time to work with each child - I usually work with my kindergartner and preschooler in the morning. My older boys work on chores and independent work during this time. In the afternoon, I work on instructional time with my 2 older boys. 2) Group work/share subjects - My older boys use the same science and history. I was a little hesitant about this back when I started it. I was afraid that my younger son wouldn't be able to keep up. I have found however that at times he does even better than his older brother. This system does work well. 3) Use computer programs - I use a computer based math program called Teaching Textbook . It gives the instruction and also auto grades. You have the option to use a textbook along with the program but can also just use the computer program. This frees up time so that while one is working on math, I can be working with someone else on a different subject. I do offer additional help for math when it is needed. We have also used an online phonics program for additional enrichment. 4) Have older children help with instruction for younger children - On occasion I may be working with a child and another comes across something with which they need help. I will often ask one of my older children to see if they might be able to assist and often they can. It is a nice way to reinforce what they have already learned and test their knowledge on the subject. I hope this has helped to answer some of your questions on homeschooling. It is a wonderful way for children to learn. As a parent, I often say I benefit and learn from it every bit as much as my children. 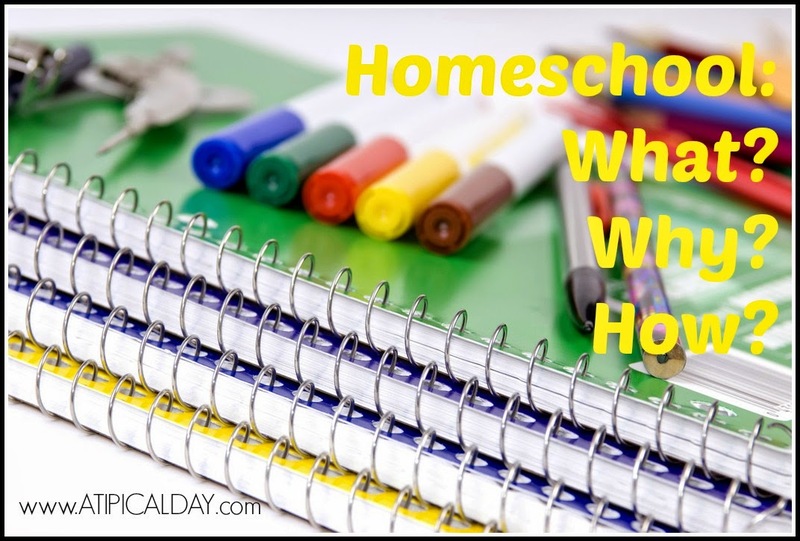 Do you have any other questions about homeschooling that I might be able to answer for you? I have never considered homeschooling since I just don't have the patience, but I know many many people that do and they have such wonderful experiences with it. I hate that people are judgmental about it. If it works for your family, it is a great option. Just like I wouldn't want anyone to judge me for sending my kids to public school vs. private. It sounds like it is a great fit fo you guys.. and that is awesome! Thank you Kim. Yes it seems to be a good fit for us, at least for now. It is something we reevaluate each year. I agree there is no need for others to be judgmental. I think that comes mostly from a lack of understanding or exposure to it. Even my husband turned his nose up at it before we started because of things he had heard about it. Times are different now though and the popularity of it is really growing! Thanks for sharing information about homeschooling. I'm curious: How do you limit distractions and stay on task? That's a great question Michelle. I don't know that there is any one straight forward answer. Each family will have their own way of handling this. To be honest there are many days that we don't stay completely on task. It is OK though, because they are still learning even if it wasn't exactly as I had planned. We do have a separate area where we do our schooling and I do not allow toys or electronics (other than the computer for lessons etc) in there. The younger kids generally nap or play in another area while I work with my older kids. I find that I have to just tell people we are doing school during these hours so please avoid coming over/calling us. Most people are respectful of that. Thank you for writing this post! I have thought about homeschooling briefly and the pro's and con's and I love how you gave a breakdown of them. I was unaware of the different methods this was very helpful. This is very interesting and informative. I love it!